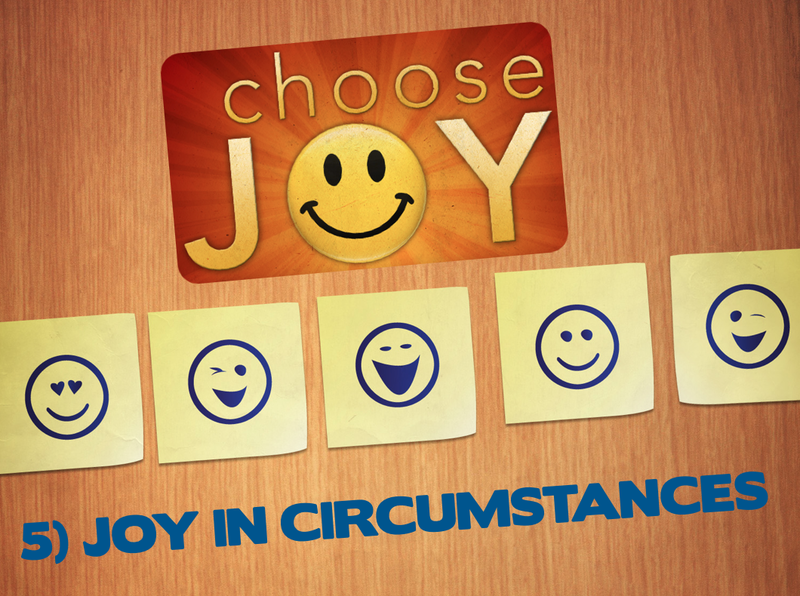 Today we continue our current series, “CHOOSE JOY.” We have already acknowledged “The Confidence of Joy” is found in Christ alone. With this confidence, we can “Defend our Joy.” When we have confident Joy, we can then have “Joy in our Relationships” and “Joy at Home.” Today we realize that we can have “Joy In Circumstances” no matter what is happening in our lives. In the comic strip, Peanuts, a hapless Charlie Brown occasionally would be stalked by ominous rainclouds. Although the rest of the sky would shine bright and blue, poor Chuck would be stuck under a dark cloud, getting doused by its showers. While his friends and neighbors enjoyed the beauty of the day, a drenched Charlie Brown would be a scowling onlooker. The lingering raincloud seemed to suggest Charlie Brown’s inability to break clear from his problems. A melancholy character, he was prone to fits of worry and self-doubt. He concocted problems where none existed and fretted about those which were real. While we do not have to contend with perpetual drizzle like Charlie Brown, many of us live under the gloomy shadow of self-induced rainclouds. When life’s twists and turns work against us, we retreat into a rotten attitude or heap blame on our surroundings. By doing so, we neglect to deal with our problems and only add to our misery. Philippians 1:12 But I would ye should understand, brethren, that the things which happened unto me have fallen out rather unto the furtherance of the gospel; 13So that my bonds in Christ are manifest in all the palace, and in all other places; 14And many of the brethren in the Lord, waxing confident by my bonds, are much more bold to speak the word without fear. You go to the Grand Canyon and you are viewing this magnificent view when all of a sudden a Winnebago parks right in front of your view. MOVE YOUR CHAIR (TAKE ACTION) – Look beyond the motor home. You change your focus. You don’t pretend the circumstances are not there. Although you have at least four possible reactions within your power, your actual response is up to YOU! It is up to us to TAKE ACTION and determine to CHOOSE JOY! 2 Corinthians 11:27 In weariness and painfulness, in watchings often, in hunger and thirst, in fastings often, in cold and nakedness. 32. In Damascus the governor under Aretas the king kept the city of the damascenes with a garrison, desirous to apprehend me: 33. And through a window in a basket was I let down by the wall, and escaped his hands. Romans 8:35 Who shall separate us from the love of Christ? shall tribulation, or distress, or persecution, or famine, or nakedness, or peril, or sword? 36. As it is written, For thy sake we are killed all the day long; we are accounted as sheep for the slaughter. Romans 8:37 Nay, in all these things we are more than conquerors through him that loved us. 38. For I am persuaded, that neither death, nor life, nor angels, nor principalities, nor powers, nor things present, nor things to come, 39. Nor height, nor depth, nor any other creature, shall be able to separate us from the love of God, which is in Christ Jesus our Lord. An interesting map is on display in the British Museum in London. It’s an old mariner’s chart, drawn in 1525, outlining the North American coastline and adjacent waters. 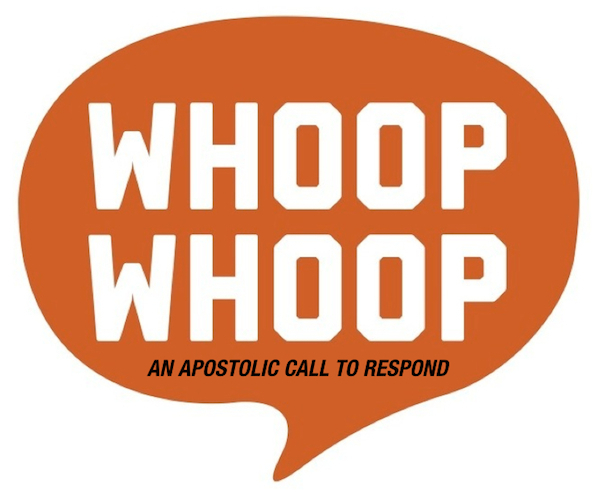 Posted on March 27, 2019, in Choose Joy Series, Ministry Monday and tagged Inspiration, Joy, Philippians. Bookmark the permalink. Leave a comment.